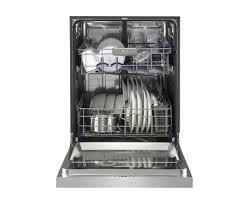 This is the summary of consumer reviews for LG Electronics Front Control Dishwasher with Stainless Steel Tub (Models: LDS5540ST, LDS5540BB, LDS5540WW). The BoolPool rating for this product is Excellent, with 4.50 stars, and the price range is $715.50-$799.99. 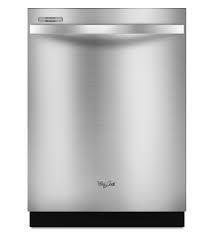 The LG Electronics Front Control Dishwasher with Stainless Steel Tub is a quality built product that washes and dries dishes very well. It works efficiently and runs quietly to do its job. 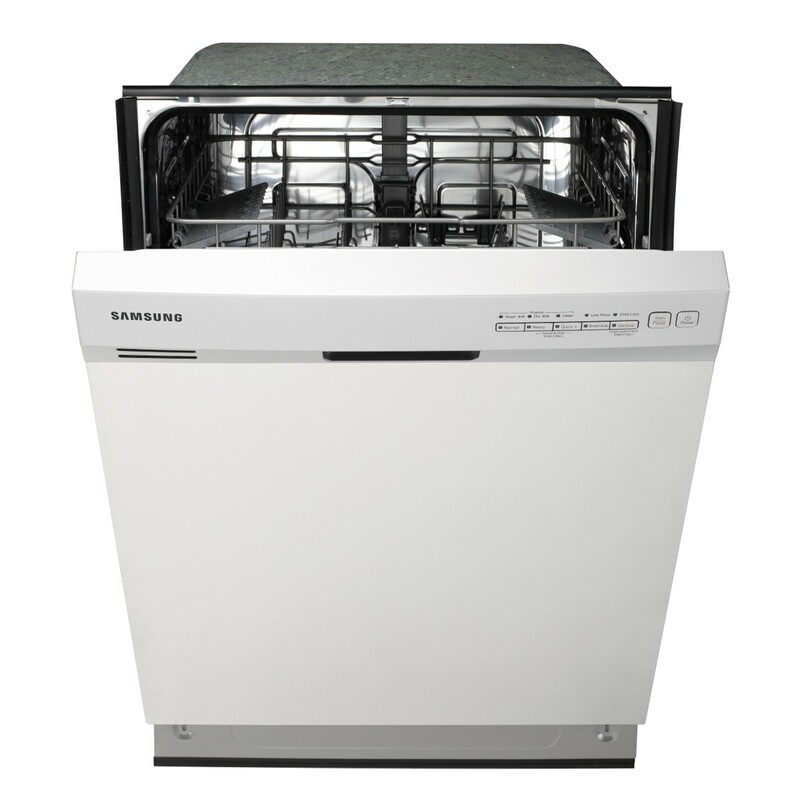 At 48 dBA, this dishwasher is among the quietest dishwashers in its class. A newly enhanced EasyRack System easily adjusts on-the-fly with color coded, fully adjustable tines to accommodate up to 14 place settings. 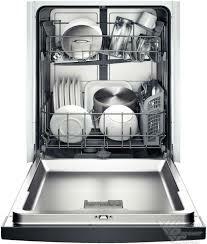 This LG Dishwasher features 5 wash cycles and 5 wash levels for flexible cleaning options. However, many user reviews mention that dish racks don't seem very well designed since the plates and dishes keep falling. 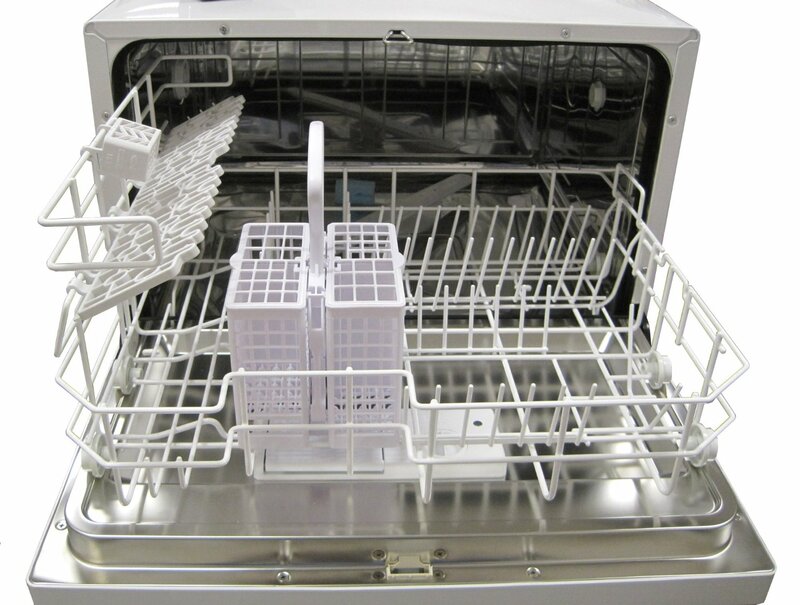 Also, some users find that this dishwasher takes a lot of time to clean the dishes. 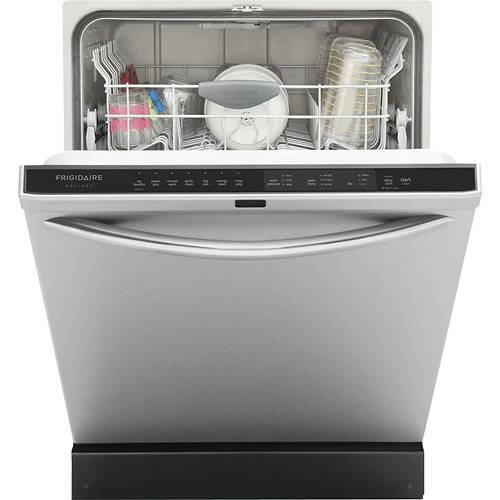 What is more convenient to have that the dishwasher seems to be lacking is a light that can notify the user when the washing is done or currently ongoing, as mentioned in the reviews. 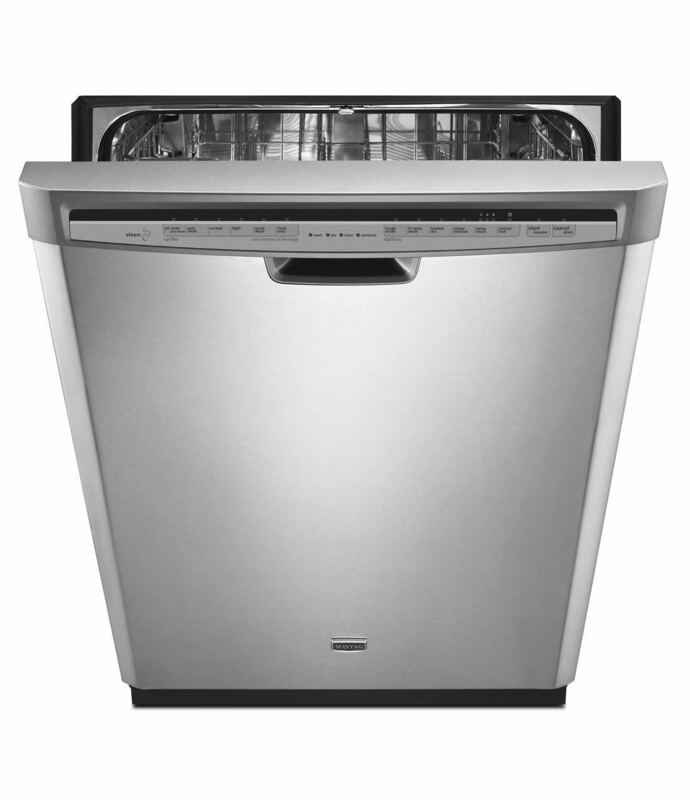 Overall, the LG Electronics Front Control Dishwasher with Stainless Steel Tub is an efficient, quiet, spacious and good quality dishwasher. It is a great combination of good looks and great technology. Unit Dimensions (WxHxD): 23 3/4" x 33 1/2" x 24 5/8"
Carton Dimensions (WxHxD): 27 1/5" x 35 1/10" x 29 3/5"
Very quiet, cleans well and the dishes come out dry. The cycle is long but all the dishes come out clean and dry. It's super quiet and gets the dishes very clean on the "quick" cycle. As another reviewer said, without the heated drying cycle, dishes seem very wet once the cycle is complete. Dishes, glassware and silverware come out clean, dry, and spot free. Even with no heating coil for the drying cycle the dishes still come out perfectly dry. Dishes come out very clean. The dishes come out clean. Con: we tend air dry our dishes and I can't figure out how to bypass the heated dry cycle. Dishes are dry at the end of the cycle. very quiet, run time a little long, washes well. This LG dishwasher is so quiet! It's very quiet and looks great in the kitchen. I found the dishwasher to be extremely quiet. I appreciate how extremely quiet the unit is!! 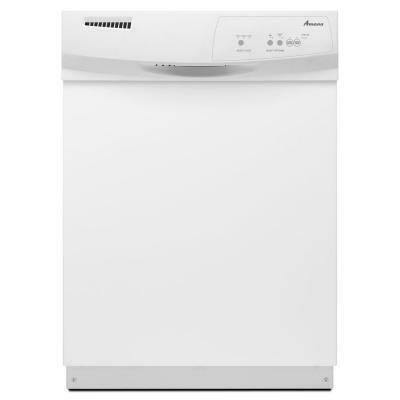 Dishwasher is super quiet and ideal for condo or apartments. The appliance is very quiet, good looking and a good buy. Not only is it super quiet, but it's efficient, spacious, and quality built. If the room is very quiet, you might hear a little swoosh when the water fills. It's so quiet that my husband didn't know i'd turned it on. The bottom rack, on the other hand, has a flat bottom, adjustable tynes and was easy to load. It holds lots and lots of dishes in the bottom rack so I can do less loads. This feature allows you to load tupperware-like pieces on the bottom rack. There are just to many different patterns in the top rack and the tines in the bottom rack don't line up so that many of my plates fall over. The adjustable rack works good for those odd sized items. Really wish I'd have paid more attention and ordered the model that's the 3rd top rack for larger utensils . The loading space is very generous both top and bottom so I'm sure the lack of 3rd rack will work out. I find it difficult to load glasses and cups in the top rack, they fit well in the outer two rows, but won't stay standing in the middle rows. Installation was a breeze and we like the solid food disposal.Two things I wish were better: 1) the wheels on the bottom rack frequently fall off track, 2) the place holders on the bottom rack don't hold the plates straight up, they all tilt and seem unsteady. That being said, my frustration level with loading the bottom rack is near it's final straw. Very quiet and the dishes are super clean. It gets the dishes super clean. This dishwasher quietly cleans our dishes very well. It's super quiet, easy to install and the dishes came out super clean, even after the dishes sat for 5 days before running the dishwasher. It plays a little tune when dishes are clean. The racks don't hold my dishes up. No light to tell you when the dishes are clean. I've sent some dishes thru 2 wash cycles and still they aren't coming clean. Our only beef is that the dish racks don't seem very well designed and many of our dishes move about when we're opening and closing the lower rack. Installation was quick and easy. Quality of product looks good. The product works great and looks good. easy to buy on line, delivery and installation was outstanding. The longer running features doesn't do as well as the quick one. This dishwasher works well with great features and I finally found a dishwasher that's "quiet" We don't notice that it's turned on and the music at the end is a nice feature. Great price and looks good too!. Communication with delivery service was very good. 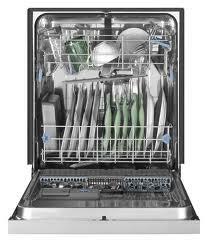 The adjustable rack features,dishes come out spotless, good capacity. Such a nice information thank you so much for sharing this post. Such a nice information thank you so much for shearing this post.